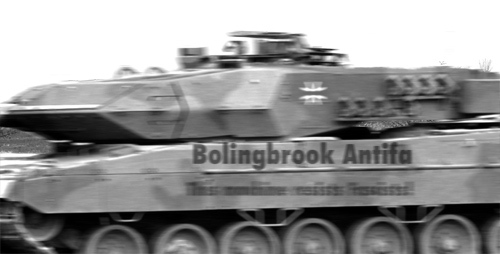 Bolingbrook Antifa has a West German Leopard 2? Nice……..
No wonder police need all that surplus military hardware the Trump administration is going to give them. Look at how out gunned they are!